Focusing their efforts on the UH Manoa campus, $tart $mart Ambassadors work to identify possible hosts for $tart $mart. Potential workshop hosts include professors, student service offices, and campus organizations. Ambassadors reach out to potential hosts to promote $tart $mart and encourage hosts to sponsor a workshop. Once hosts have expressed interest in sponsoring a workshop, ambassadors connect hosts with the $tart $m art Coordinator (AAUW – Honolulu Branch member Zakea Boeger) to begin planning workshops. $tart $mart workshops appeal to a variety of potential hosts, especially as they teach students budgeting, benchmarking, and negotiation skills. The responsibilities of workshop hosts are fairly minimal and straightforward. Workshop hosts are responsible for advertising $tart $mart to students and recruiting student participants (Sample advertising materials are available). Hosts must also provide a meeting space and print copies of the $tart $mart workbook for all workshop participants. The workshop lasts approximately 2 hours, but can easily broken up into 2-3 segments (such as over multiple class periods) if the host prefers. Workshops like $tart $mart are essential to narrowing the gender pay gap. 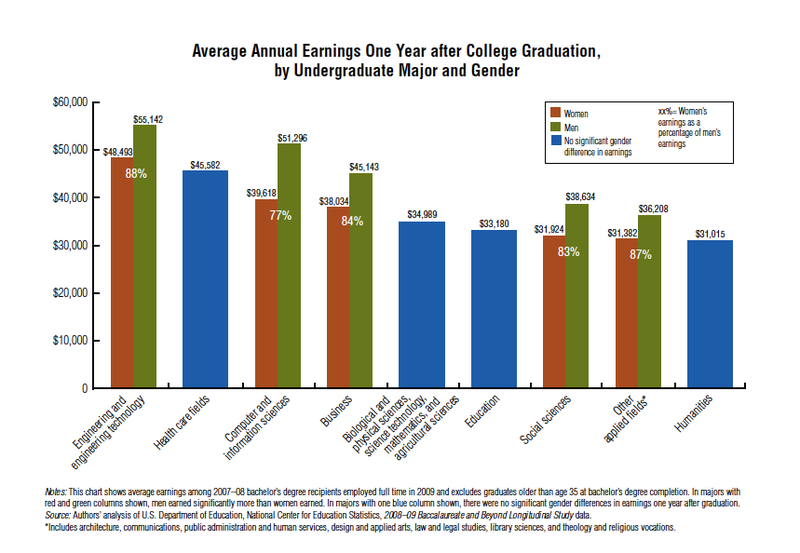 AAUW’s 2012 research Graduating to a Pay Gap: The Earnings of Women and Men One Year after College Graduation investigates earning differentials between full-time male and female college graduates one year after graduation. Graduating to a Pay Gap showed that young women earned less than male colleagues, even when they majored in the same field and worked the same number of hours in the same or similar occupations. 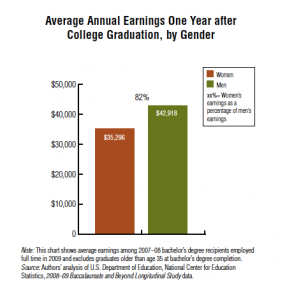 Not only does this contribute to the existing gender pay gap, young women earning less may also face greater difficulty paying back student loans. Through recruiting workshop hosts, $tart $mart Ambassadors are critical to combating the gender pay gap before it gets a chance to start! Does the gender pay gap have you feeling fired up? Have some potential $tart $mart hosts in mind? Suggestions for potential workshops hosts at UH Manoa are welcomed and encouraged! Those with host ideas or who are interested in serving as $tart $mart Ambassadors can contact Zakea Boeger, $tart $mart Coordinator, at zakea@hawaii.edu. This entry was posted in Leadership and tagged Start Smart on January 21, 2016 by srsupport3.